Dr. William L. Quisenberry is an Educator, Mentor, Coach, Researcher, and Consultant that seeks to use a servant approach to helping others achieve their goals. Dr. Quisenberry resides in Lexington, KY and has a diverse background that includes studying and practicing within the field of business administration, coordinating implementation projects for Fortune 500 clients, managing and overseeing vendors/suppliers, operations management, project management, marketing, research analysis, consulting, and teaching at the collegiate level. Dr. Quisenberry has collaborated and worked on projects with a variety of major organizations in the marketplace that include: Lexmark International, Halliburton, Branch Banking and Trust, The U.S. Department of Veterans Affairs, Wal-Mart, The U.S. Army Corps of Engineers, Accenture, IBM, Best Buy, Lockheed Martin, John Hancock Financial, and the World Trade Center Association. Dr. Quisenberry holds a Bachelor of Business Administration (BBA) degree in Finance, a BBA in Marketing, as well as a Master of Business Administration degree from Sullivan University's Graduate School of Business, and a Post-Graduate Certification in Forensic Accounting from Davenport University. He also possesses a Doctor of Business Administration (DBA) degree with a specialization in Leadership from Walden University. Dr. Quisenberry's dissertation was titled, "Common Characteristics and Attributes of Self-Managed Virtual Teams." He was nominated for Walden University's Outstanding Research award and his study was also nominated for the University's Doctoral Study of the Year award. Dr. Quisenberry strives to remain active in his local community. 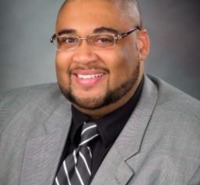 He currently serves on the Board of Directors for Fostering Goodwill, an agency based in Lexington, KY that seeks to provide resources, training, and mentorship to young adults who have aged out of the foster care system. He serves with multiple grassroots organizations that strive to build relationships, offer training, mentorship, programs, and services to various individuals or communities facing difficult challenges, such as at-risks youth, marginalized communities, and homeless populations. He also collaborates with several international organizations on similar outreach projects and initiatives.